Large in town sleeps 24 in beds! 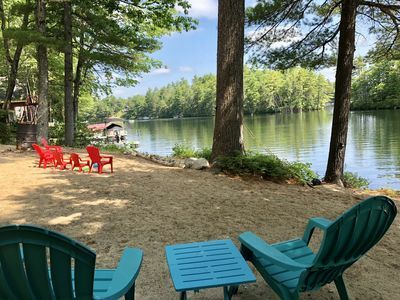 Only 1 summer wk left 2019 -book 4 2020 now! 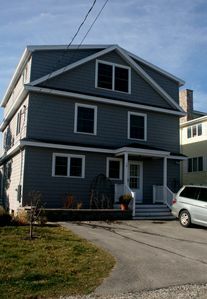 3 and 4 Porpoise Place are located in downtown Cape Porpoise....an ideal location for family reunions, weddings, large gatherings or parties, Kennebunkport Christmas Prelude, etc. 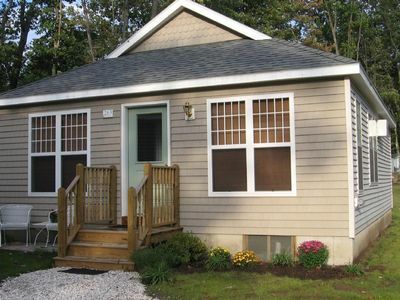 Two newly constructed homes--Chickadee Cottage and Lupine Lane--can be rented separately (or together to sleep 42). Each house sits on 3/4 acre of land next to each other. 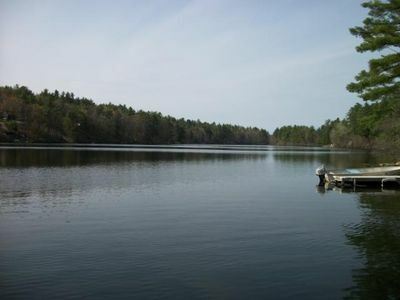 THIS LISTING IS FOR LUPINE LODGE which has 10 bedrooms, plus a den with a queen sized sofa sleeper with doors that close for privacy. Downstairs there are two bedrooms with King sized beds, one with a Queen, and one bedroom with a Full and twin bed. There are two full baths and two powder rooms downstairs in Lupine Lodge. 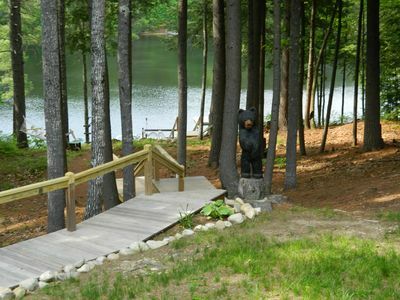 Upstairs Lupine lodge has 6 more bedrooms, two with King beds, two with Queen Beds (the Queen bedrooms have private bath ensuites with showers), one with twin bunk beds and a daybed and the last with a Full and twin bed. There are two more full baths upstairs. Downstairs there is a massive 40 foot Great Room with two fireplaces, two screened porches and a large deck. Lupine Lodge has a new state of the art kitchen with all stainless appliances and granite countertops. Lupine has an oversized Weber gas grill with a direct gas feed so you will never run out of fuel! 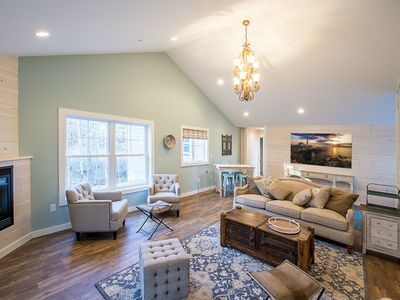 * Located off of Langsford Road in the quintessential fishing village of Cape Porpoise, Maine, Lupine Lodge offers you plenty of upscale amenities to host your next corporate event, family reunion, bachelorette party, small wedding, or a just a family vacation. 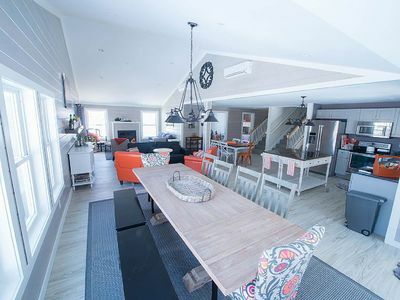 * If Lupine is more room than you need consider newly constructed Chickadee Cottage (VRBO listing 711512) which has the same amenities and sleeps 13. 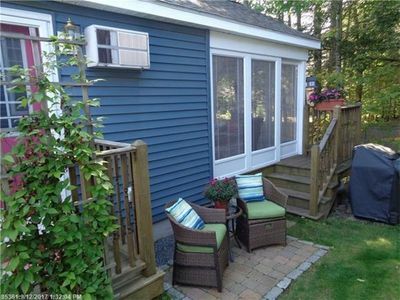 * If you need to sleep 40 you can rent both homes (See VRBO listing #645382). 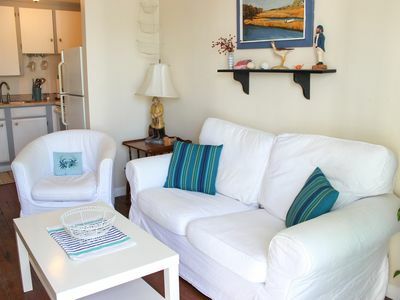 * If you want to take advantage of Porpoise Place for an event, both Chickadee Cottage and Lupine Lodge have to be rented together (See VRBO listing #645382). There is also a site for a tent or other facility for your gathering; contact the owner for further information about renting Porpoise Place for your event. 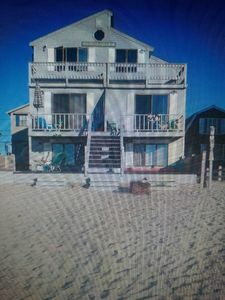 PLEASE NOTE : THE REQUIRED 3 NIGHT OFF SEASON MINIMUM IS ABSOLUTE--no rental less than 3 nights will ever be considered for this property. 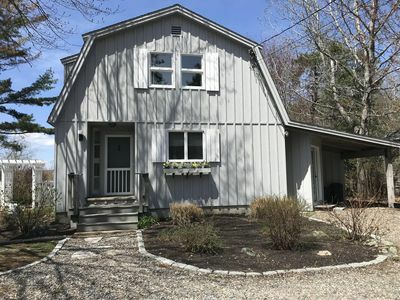 And while located in the very heart of Cape a Porpoise within two blocks of town center, the house is surrounded by woods and natural Maine habitat. 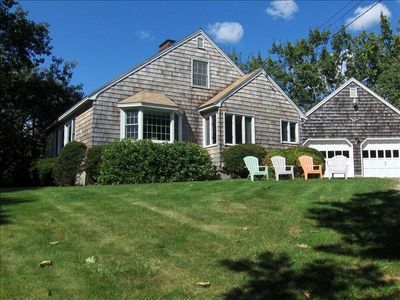 Walk behind the house on your own path to Bradbury’s market or the Church on the Cape. 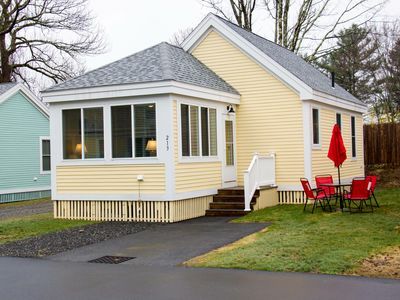 Or walk two blocks on the sidewalk to the ever popular Wayfarer Restaurant, the Captains restaurant for great seafood and home made desserts, or Cape Porpoise kitchen for morning pastries and coffee, take out sandwiches for your beach picnic, or take out prepared foods for dinner. Nunan’s Lobster is 4 blocks away and the Cape Porpoise Ice Cream shop is a dangerous 3 blocks from Porpoise Place. Or head up the street 2 blocks to Langsford Road Lobster and wait while they cook the freshly caught lobster you just picked out. If you are up for a half mile walk or bike ride you can head up Pier Road, enjoying beautiful views of CP Harbor, until you arrive at the working fishing/lobstering pier where you can watch the fishermen in action, sit out on the benches and view Goat Island Lighthouse, listen to the melodious fog horn, launch a kayak or indulge in the three renowned eateries–upscale Pier 77 with gorgeous views of the harbor, The Ramp, a very popular bar with lots of sports and other memorabilia, including autographs all over the walls of some of sport’s most acclaimed…and of course, George and Barbara Bush, or Cape Porpoise Chowder House where your food is made to order and brought out to you to eat while watching the boats and harbor. 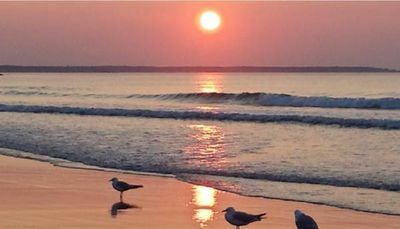 If you want to head to the beach, you can buy your weekly pass right at the police station less than half mile away and head 3 miles north by car or bike to Goose Rocks Beach or 3 miles in the other direction to Kennebunk, Gooch’s or Mother’s beaches. And if the restaurants and shops in Cape Porpoise aren’t enough, drive less less than 3 miles to highly acclaimed Earth restaurant at Hidden Pond (reservations book up weeks in advance so keep that in mind), the Tides at Tides Beach Club or check out the 50 plus ice cream flavors at Goose Rock’s dairy. 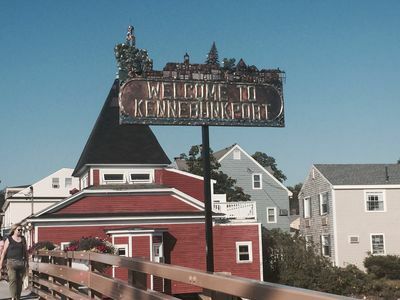 And don't forget about DOCK SQUARE, Kennebunkport's bustling village just 2 1/2 miles away. With its numerous restaurants, shops, rental boats and site seeing, it is a perennial favorite. 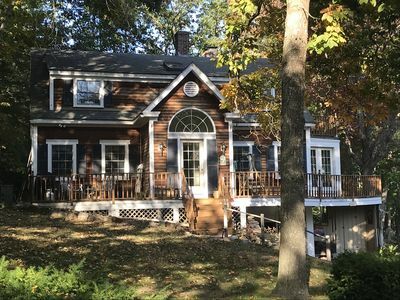 A Lakefront Home, Wifi included. 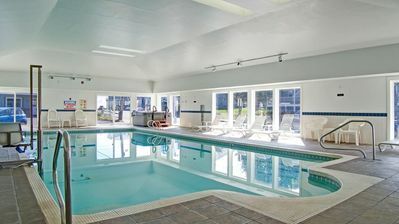 Sleeps 13-45 for events/reunions! Or rent just one home at #713286 or 711512. 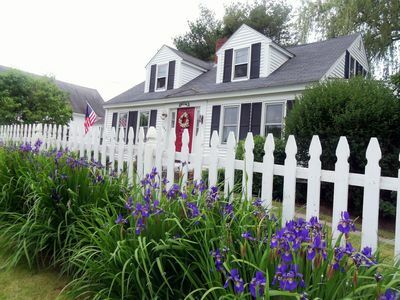 Charming Kennebunk Guest House Near Beach w/ AC! DOGS OK! The Willow House is on the Moody/Ogunquit and Trolley lines. Sleeps 6. 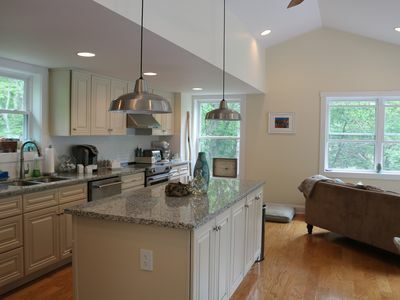 Kennebunkport, walk to beach, 1 mile from Bush compound, 5 minutes from town. 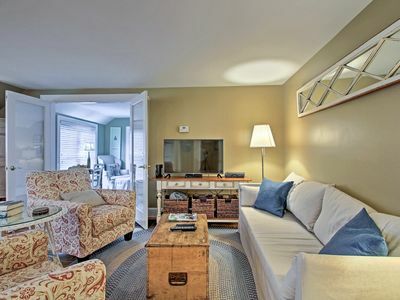 Charming cottage at Beach Dreams ~ feels like a luxury hotel! 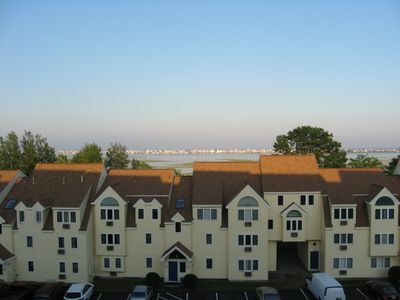 Beautiful 1,200 sq ft fully equipped unit.